As you’ve probably guessed by looking at my gallery of recipes, we cook and bake a lot at Casa Melo. And because of that sometimes my pants don’t fit. We’ve been having a lot of fun in the “test kitchen” lately, so it’s about that time of the year where I take a little break from sugar. One of the hardest things for me to give up is fizzy drinks and cocktails, but now I figured out a way so I don’t have to. 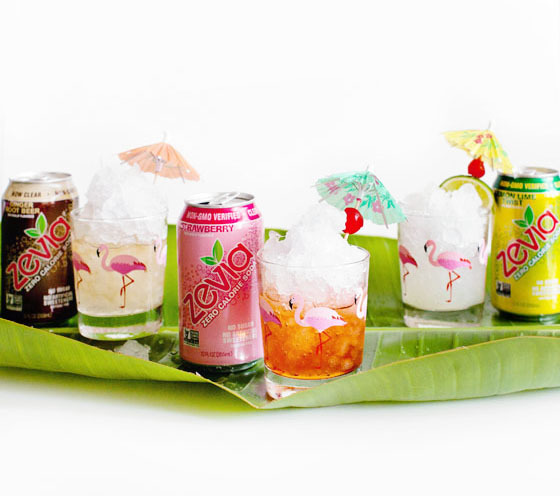 I’ve partnered with Zevia® to bring you 3 low calorie and delicious granita cocktails made with their new colorless, non-GMO, naturally sweetened sodas. 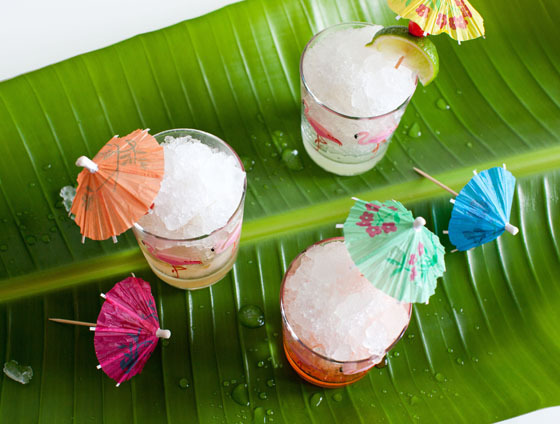 They’re basically snow cone cocktails! Making a granita is easy, but you need to be prepared to walk back and forth to the freezer every 20 minutes for a couple of hours. First you need a flat-bottomed dish, like a Pyrex baking pan. Empty your Zevia soda flavor of choice into the pan and let freeze for 20 minutes. Then stir with a fork, scraping down the sides and bottom of the pan. Repeat this every 20 minutes until you have a snow-like consistency. Once that is done, you can assemble your cocktail. 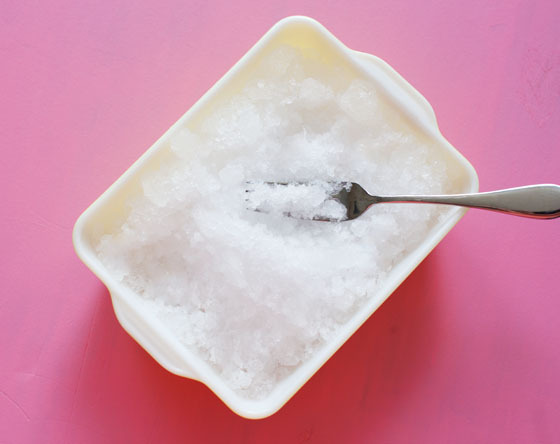 Start with combining your ingredients in a glass and then pile in the icy granita. Once the granita hits the alcohol, it’ll start to melt creating a slushy beverage much like an adult Slurpee. Basically what my dreams are made of. Here are my 3 favorite tried and true Zevia Granita Cocktail recipes. Mix tequila and lime juice in an 8 oz glass. Then fill glass with prepared Zevia granita. Garnish with lime wedge. Serve with a spoon and straw. Mix whiskey and bitters into an 8 oz cocktail glass. Then fill with prepared Ginger Root Beer granita. Garnish with a maraschino cherry. Serve with a spoon and straw. Mix Aperol, bitters, and lime into a glass. Then fill glass with prepared Strawberry Zevia granita. Garnish with a wedge of lime and a cherry. That’s it. Easy peasy. 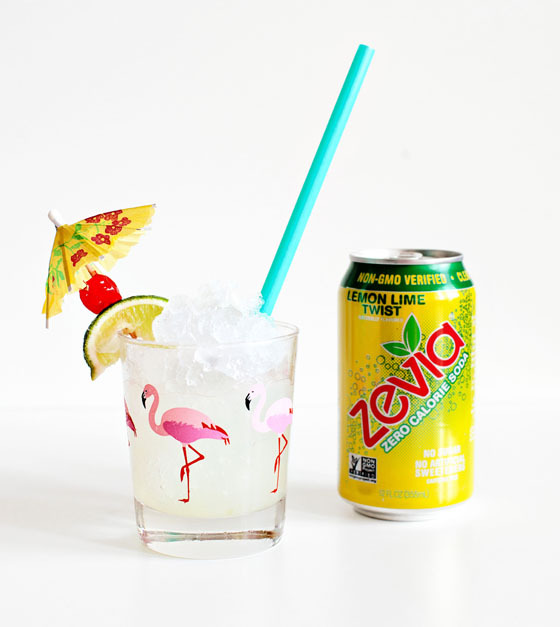 Now go make some granitas with your favorite Zevia flavors and mix them with your favorite booze to see what flavor combos you can come up with. Oh! And make sure you’re following @melodramablog and @ZeviaLife on Instagram for your chance to win $500. This post was sponsored and made possible by Zevia®.